I have always tried to be prepared for any situation and becoming a mom has only intensified this need. This aspect about me not only relates to my purse, the pantry and the baby bag, but also my car. There are many things I keep in my car year round but sometimes there are seasonal specific items. 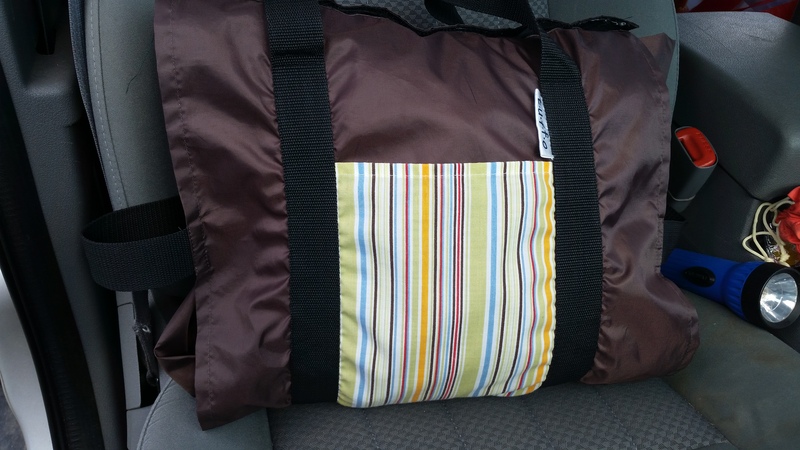 Here are a few of my must haves in the car during the summer (all warmer) months. 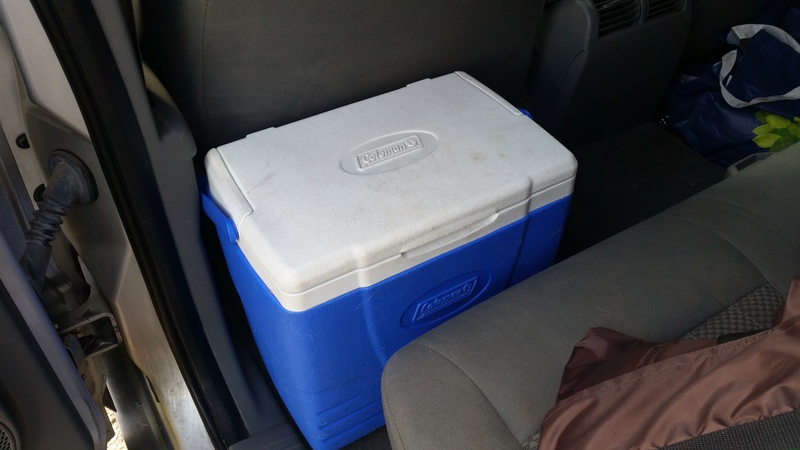 A cooler is a smart car accessory during the hot months. It’s great for storing water or cold foods you just bought at the store. Personally, I use a slim one that can fit in the floorboard of the backseat. Bottle water and snacks are something I always keep in the car. During the summer I often keep extras because I feel we are out and about more. Water is a necessity when it’s hot and we tend to get hungrier when we go to the park or do other outdoor activities. Sunscreen is a must this time of year, for the whole family. You never know when that impromptu picnic, park trip or pool time may come up this summer and you want to be prepared. Now most sunscreen instructions say not to store it in high temperatures (like a hot car), so I just keep mine in the cooler. 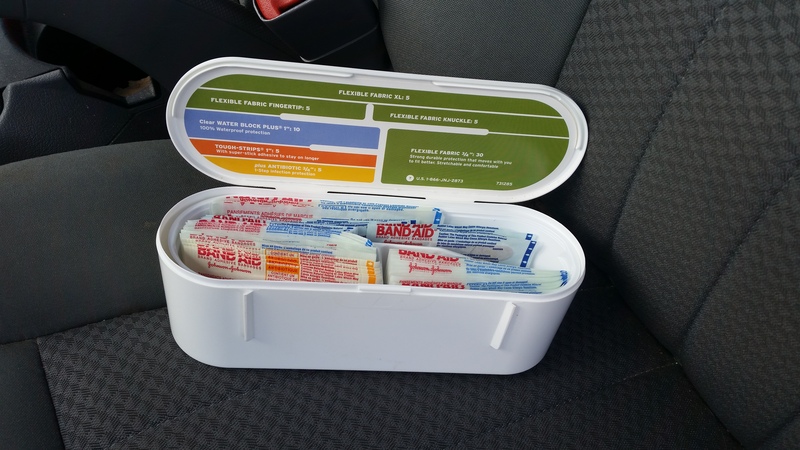 A first aid-kit is something that you should keep in the car year round but I’ve found that I need it much more in the summer months. All the fun outings to the park or pool and even outdoor projects the hubby is working on seem to call for the need of Band-Aids and such. A light sweater or sweatshirt can come in handy on cool summer evenings. Sometimes I get a little chilly at cookouts, bonfires or movie in the park type evenings. Even restaurants can be extremely chilly because they have their air condition turned all the way up! That is why I am so glad I keep something with sleeves handy in the car. Finally, a big blanket is perfect to have in the car when you need a place to sit when the kids are playing at the park or some sports event. The one in the picture was a gift from my best bud and I can’t tell you how valuable it’s been.